As part of the 2018 Bendigo Zinda Festival, Bendigo Interfaith Council will hold a Forum and Dinner at the All Seasons Conservatory on Thursday, March 21 at 6:30 PM – 9:30 PM. Guest speaker will be Sherene Hassan OAM, Education Director of the Islamic Museum of Australia. 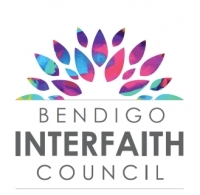 As part of the 2018 Bendigo Zinda Festival, Bendigo Interfaith Council will hold a Forum and Dinner at the All Seasons Conservatory on Wednesday, March 21 at 6:30 PM – 9:30 PM. Guest speaker will be Helen Heath OAM, of the Interfaith Network of the City of Greater Dandenong.